In this Chocolate Chip Cookie Brittle, the classic chocolate chip recipe is changed up to create a new way to eat chocolate chip cookies. Watch the video showing you how to make this cookie brittle, then scroll to the end of the post and print out the recipe so you can make it at home. It’s safe to say that we’re big-time chocolate chip cookie eaters in our house. I don’t make them often because I’m far too tempted by the dough itself, but my boys happily chow down on them whenever I whip up a batch. 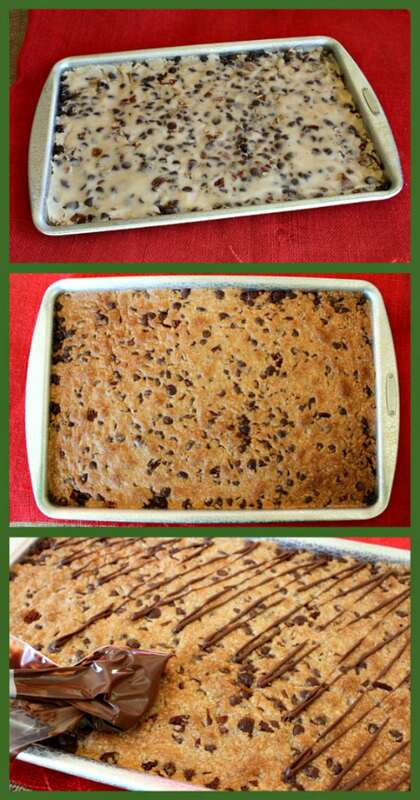 Of course, me being me, I’m always trying to “think outside the box” in a chocolate chip cookie recipe. 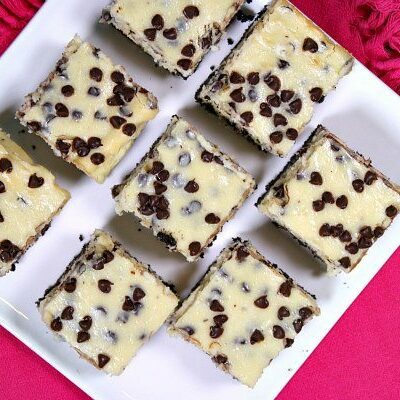 Maybe add a little sea salt, change up the chocolate, stuff something inside of them, make them into bars, add some secret ingredients… anything to break up the monotony of The Chocolate Chip Cookie. But your typical person walking down the street is completely satisfied with the same ‘ol same ‘ol. 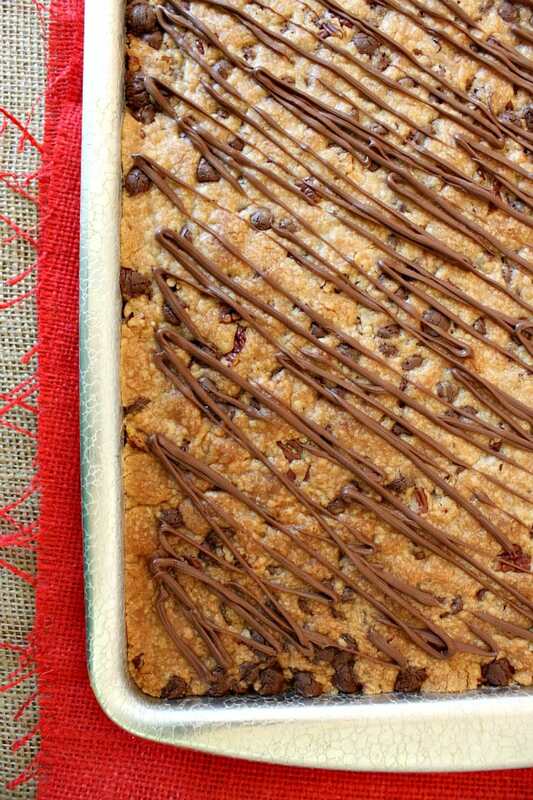 This Chocolate Chip Cookie Brittle was shared here on RecipeGirl back in 2012 with permission from Nestle (their original recipe). The “brittle” characteristic is created by eliminating eggs, baking soda and brown sugar. 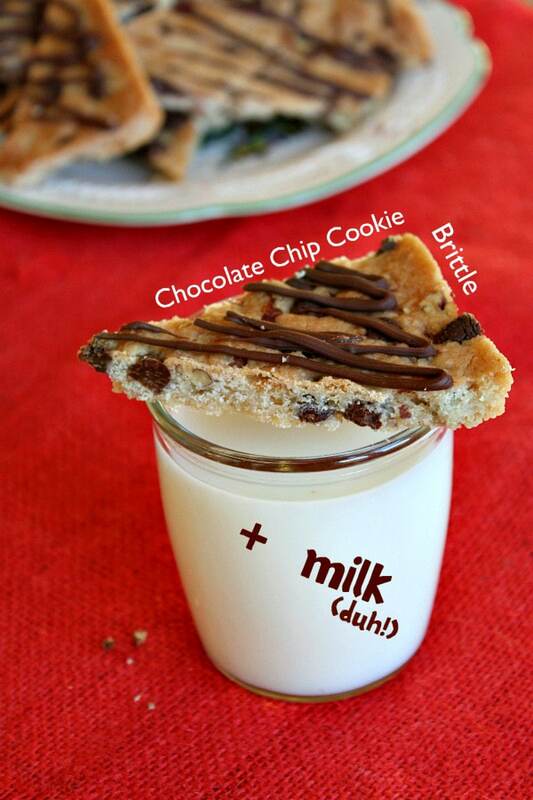 What ingredients do you need to make Chocolate Chip Cookie Brittle? 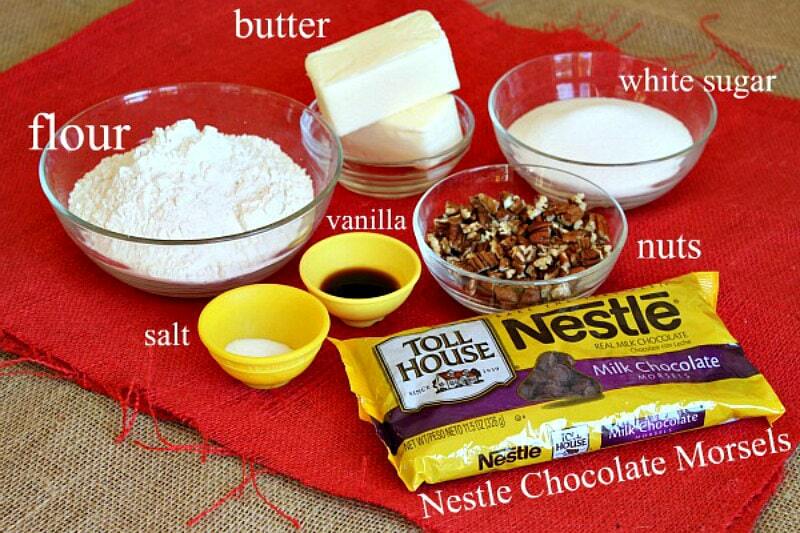 You’ll need a pretty short list of ingredients: flour, sugar, salt, butter, vanilla, chocolate chips and nuts. When the dough is created, it will look very dry and crumbly. Keep mixing though, and those crumbles will eventually snuggle together to create larger crumbles like this. Then you can stir in the chips and nuts (I use pecans). 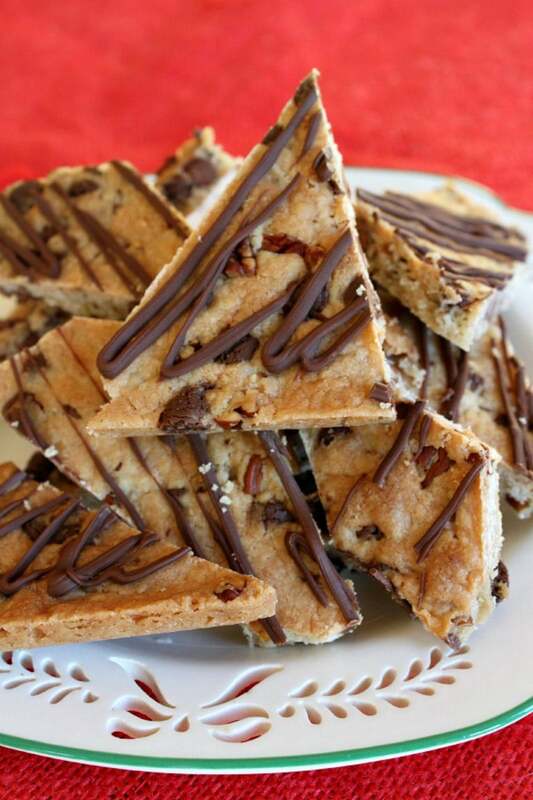 Do you have to add nuts to cookie brittle? You can certainly experiment with NOT using nuts, but I will say that I think they help with the texture of the cookie brittle. Enlist a helper to use (clean) hands to pat the dough into a rimmed baking sheet. 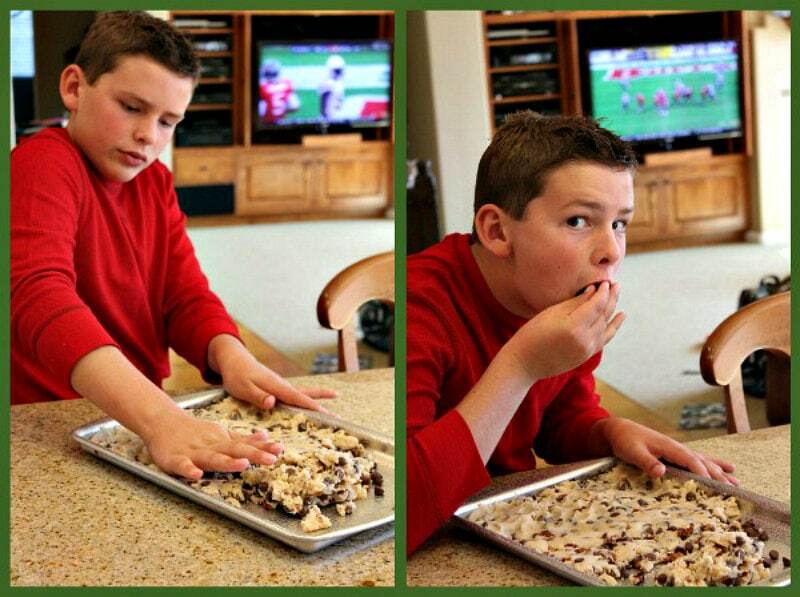 Watch that helper closely as he might sneak some of your dough! Fun note: this is my son Brooks way back in 2012 when he was just eleven years old. He’s 17 now, and he’s 6’4″ tall. You can see an updated photo of him on his blog: RecipeBoy.com. He has grown a lot! 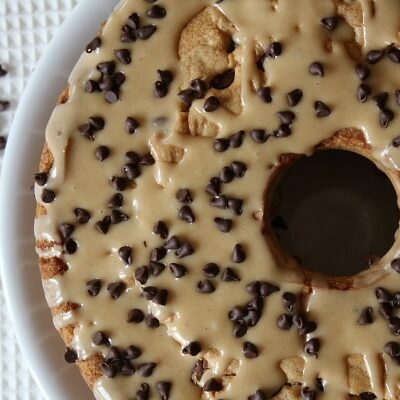 You do need some kind of rimmed baking sheet for this recipe so the brittle can keep its shape. Amazon sells a 15×10 Rimmed Baking Sheet, if you’re in need of one. 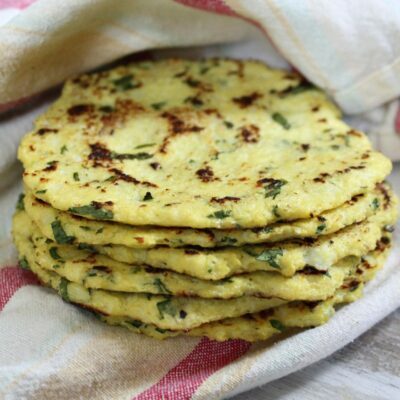 The dough bakes up thin and crispy. Once it’s cooled, you should add some chocolate drizzle. Just melt chips all on their own in a glass dish in the microwave. Stir, scoop into a heavy duty zip baggie, snip the corner and squeeze your drizzle. Then you can set it aside for a while to let the chocolate set, or you can put it into the refrigerator or freezer for a few minutes and it will solidify quickly. You can be all neat with your drizzle, or you can go every which- way. Once the chocolate has a chance to firm up, you’ll be able to lift the whole thing out of the pan like a giant cookie! Use a knife to help give you the first crack. 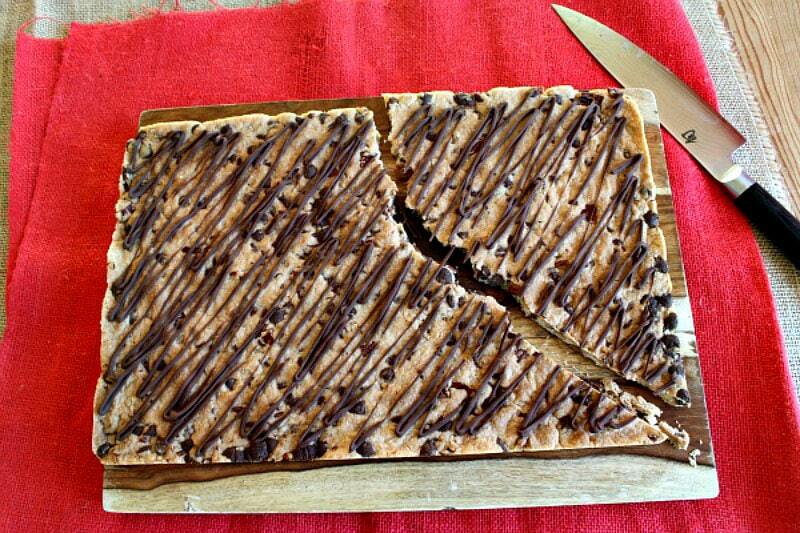 Then break apart the giant piece of cookie brittle into jagged pieces, or use a knife to create neat cuts. I prefer the “neat cut” look. Is that a sign of an obsessively organized, neat -freak? P.S. I know someone’s gonna ask, so I’m gonna just tell you. You can’t make the recipe as-is into classically- shaped round cookies. This recipe is for brittle, not cookies. If you really love chocolate chip cookies, you will want to check out my nice collection of the best chocolate chip cookies! 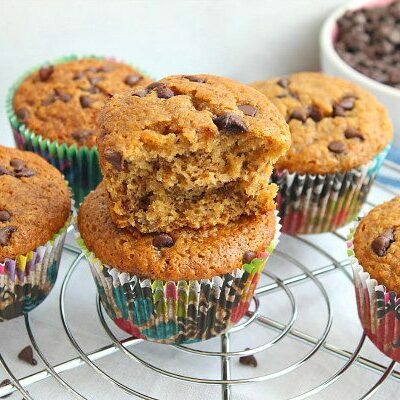 A delicious way to enjoy chocolate chip cookies! 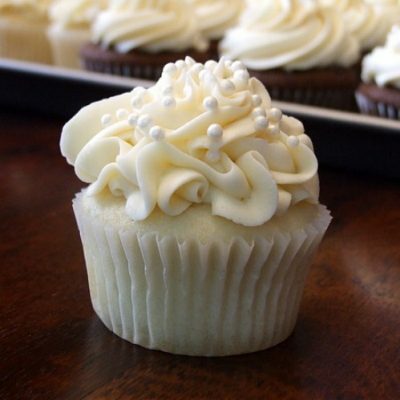 In a large bowl, use an electric mixer to combine the butter, sugar, vanilla and salt. Gradually beat in the flour. The mixture will be crumbly, but keep mixing and you will begin to see the dough come together in clumps. That's the consistency you're looking for. Set the mixer aside and stir in 1 1/2 cups of the chocolate chips and the nuts. 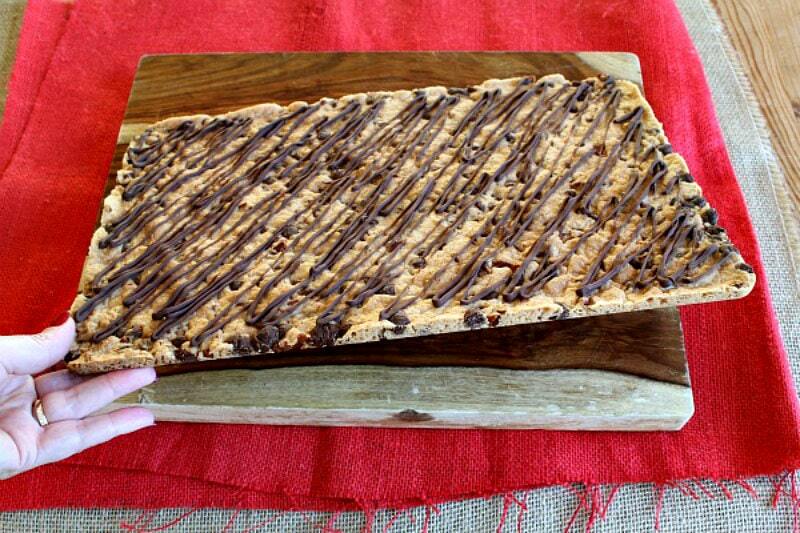 Use clean hands to press the dough into a 15x10-inch jelly roll pan (rimmed baking sheet). Bake for 20 to 25 minutes or until golden brown and set. Cool until just slightly warm. Place the remaining 1/2 cup chocolate chips in a small glass bowl. Microwave 60 to 90 seconds or until melted. Stir until smooth and scoop into a heavy-duty plastic baggie. Snip a tiny corner of the bag; squeeze to drizzle over the cookie. Allow the chocolate to cool and set (place in the refrigerator for quick-setting). 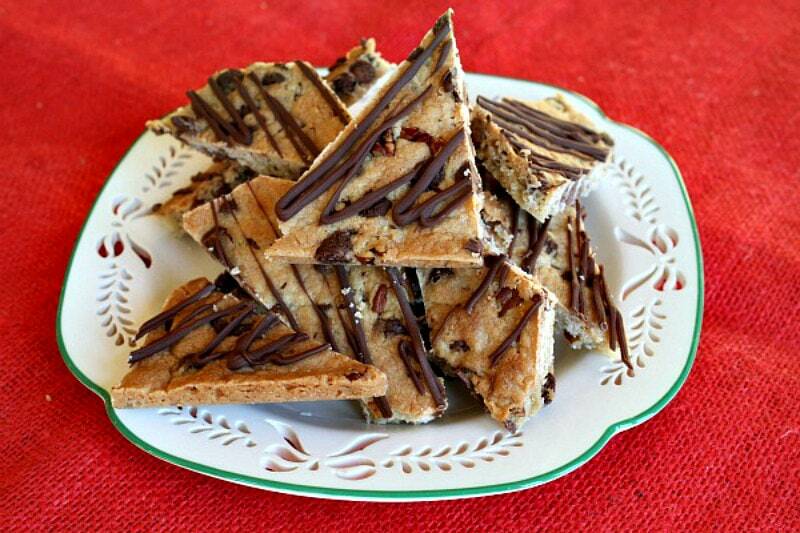 Break the cookie into irregular pieces, or use a knife to help cut into wedges. This post was originally written as part of a partnership with Nestle back in 2012. It was edited and re-published in 2018. The brittle is delicious! Made it for my hubby who loves crunchy chocolate chip cookies, and it really hit the spot. I added about 3/4 cup of Heath Chips for extra crunch! Thanks so much for the recipe. Looks like the ultimate snack! I love anything chocolate chips! Yeah, they’d prob be okay. Maybe add a few more chips. I could eat this all day long. My God! This site is amazing. 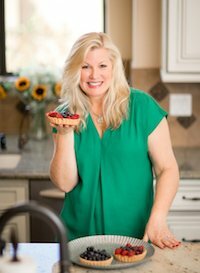 So many wonderful recipes. Life just begins for me! Thank you! This looks so yummy! I will have to try to make this with my little girl. We love anything sweet! yum! 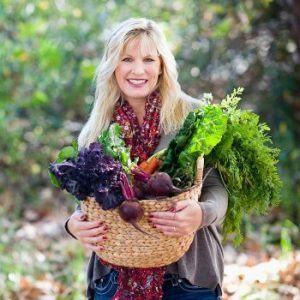 Looks amazing Lori! 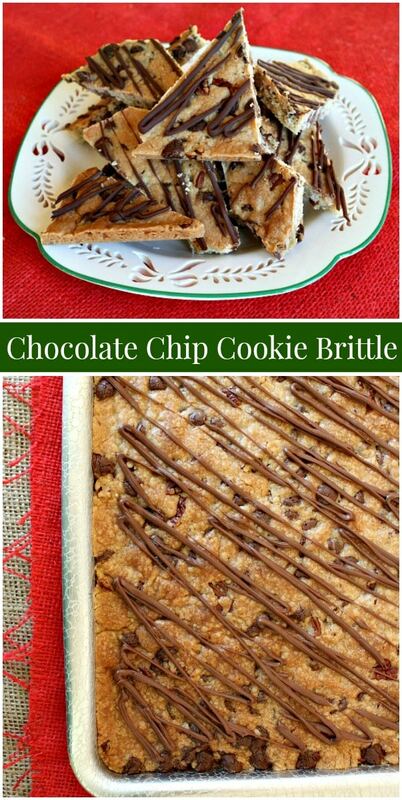 Love this twist on brittle and chocolate chip cookies 😀 I cant wait to make some of this. Perfect to give away as a gift! What a fun idea – great twist on a traditional cookie! 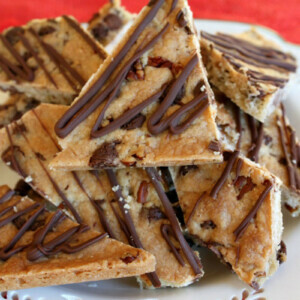 Cookie brittle is one of my favorites! So addictive! LOVE this! Thanks for another great idea, Lori! My husband would love this. He loves crispy cookies that he can dunk. Thanks for sharing. Lovely! I’m a fan of chocolate so this is definitely a must try recipe. wow this recipe is positively perfect! Great idea. I saw this post and had to try it out. Delicious. Thanks for passing this one along Lori. OH-MY-GOSH!!! I am speachless and that doesn’t happen to often! 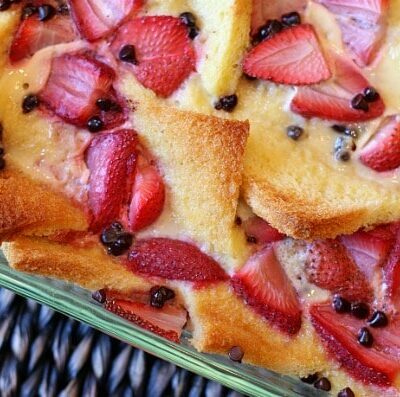 I want to make this, but I’ll be home alone today and I have a feeling by the end of the day it would be gone! It looks fantastic!! !